More than 300 boutique bakeries in many countries and territories, BreadTalk offers a wide variety of breads and cakes.BreadTalk, a pioneer in revolutionizing the image of the bakery industry with its trademark open kitchen, allows customers to view the entire baking process from flour mixing to hot breads from the oven.Bread Talk now plan to expand its franchise retail business in Vietnam. Vietnam’s Binh Minh Toan Cau Joint Stock Co. plans to set up more than 10 BreadTalk boutique bakeries in HCMC in 2011 under a franchising agreement with the Singapore-based chain of boutique bakeries. 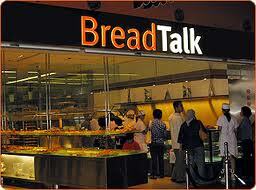 Two such bakeries called BreadTalk have already been opened in HCMC. Ly Qui Trung, chairman of the local company, said at the opening on Wednesday of the second BreadTalk boutique bakery at 02 Cao Thang Street in the city’s District 3 that next year his company would open some 10 more bakeries in the city. The third BreadTalk boutique bakery at Maximark Cong Hoa Supermarket on Cong Hoa Street, District Tan Binh will be up and running next month. “This is part of Binh Minh Toan Cau Joint Stock Co.’s plan to increase the number of its stores in the city from two to more than 10 next year,” said Trung. He said that the second BreadTalk boutique bakery in Vietnam with the investment capital of more than VND5 billion was the biggest bakery of BreadTalk boutique bakery chain in the world. The store covers some 150 square meters. In the coming time, his company would open BreadTalk boutique bakeries at supermarkets and department stores, he said, adding each bakery in the city should cost some VND5 billion. BreadTalk, a premium bakery brand of Singapore, has more than 300 boutique bakeries worldwide including Singapore, China, Indonesia, the Philippines, India, Kuwait, Malaysia, Hong Kong, Thailand, South Korea, Oman, Bahrain and Vietnam.